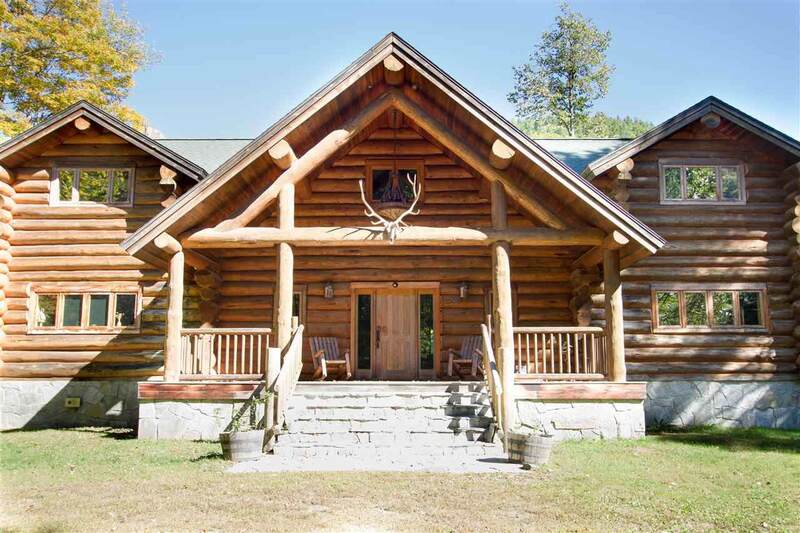 This custom built log home is a stunning example of world-class mountain architecture. A rare find, nestled along the west river, with private entrance over an authentic covered bridge. 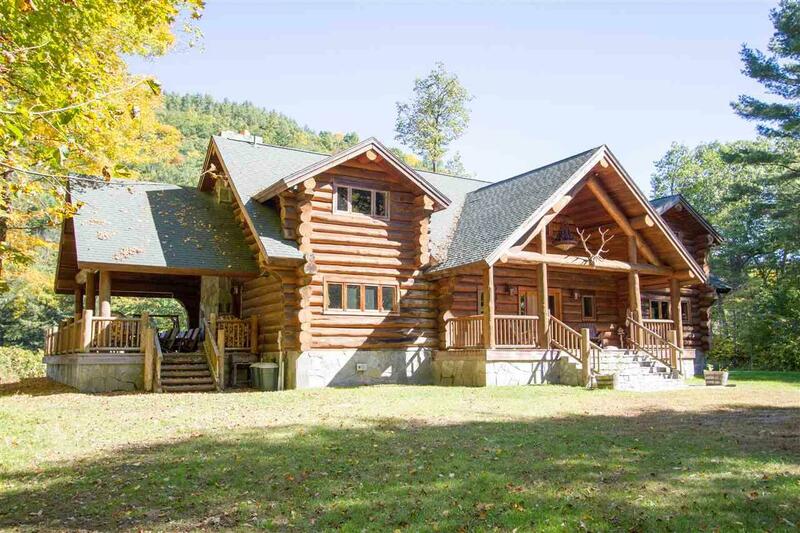 Sited on over six acres, the home enjoys river frontage and mountain views. 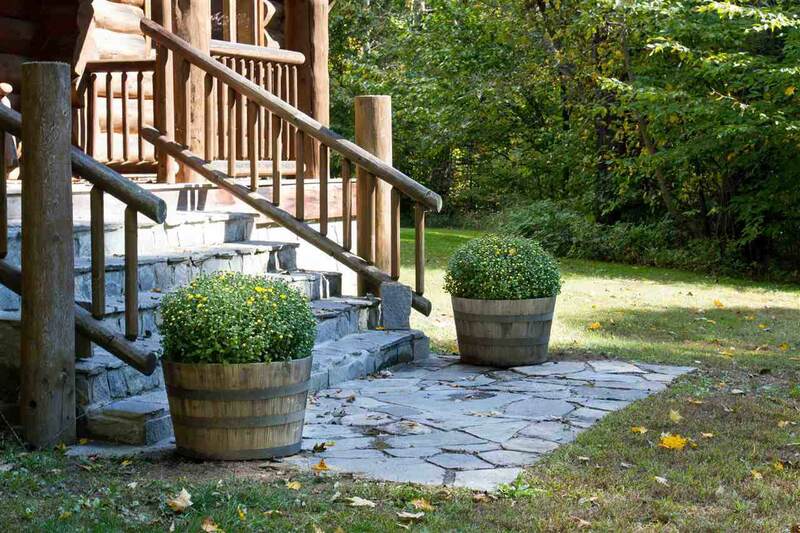 No expense was spared in the construction of this Mountain Retreat. Completed in 2006. Every aspect of this home was specifically designed and executed to enhance the location on the river with views of the surrounding mountains. Entertain with over 6000 square feet. Living room features soaring ceilings, exposed beams, impressive fireplace and wide pine floors. Create a banquet in the chefs kitchen with copper farm sink, granite counters, Viking Professional Range, and stainless steel appliances. Amentities include three woodburning fireplaces, several gathering rooms, 4 bedrooms and 4.5 bathrooms. 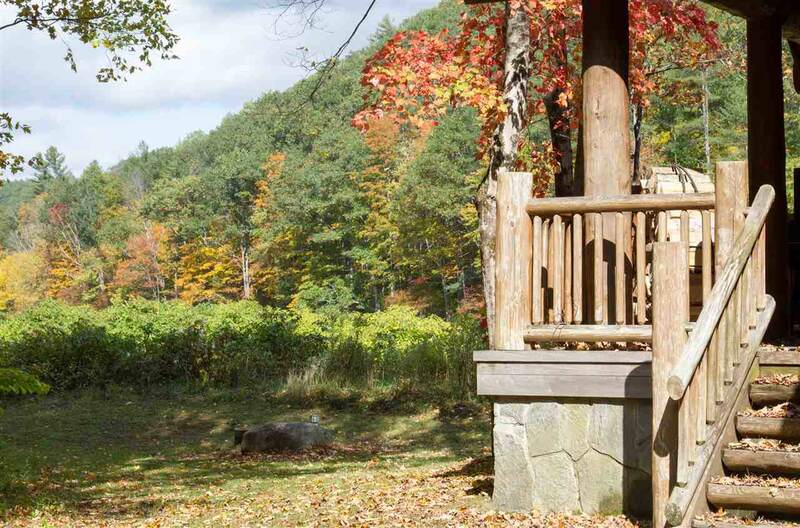 While very private and quite, the estate is just 8 miles to the Stratton Mountain Resort access road and 30 miles from Interstate 91 in Brattleboro VT. Please call to experience one of the most spectacular settings in Vermont.